This is a fun little film that combines a monster movie with an Agatha Christie-style whodunit. The monster in question is a werewolf, and the whodunit in question is who the hell it is. 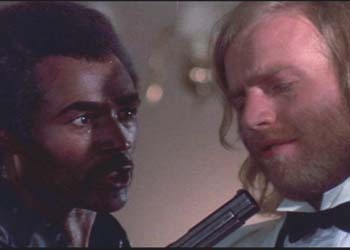 Calvin Lockhart, who would sadly be relegated to bit parts like Predator 2‘s King Willie later in the ’80s, is wonderfully over-the-top as obsessed millionaire Tom Newcliffe, an avid hunter with a penchant for black leather who yearns to shoot an honest-to-God werewolf. 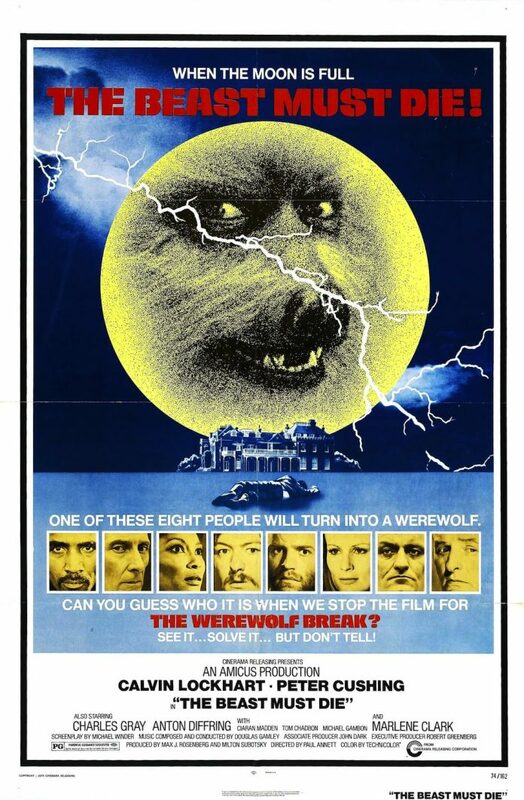 So, he rounds up eight unsuspecting suspects who’ve all been involved in mysterious deaths and holds them captive on his estate as a full moon approaches. Each night, the body count rises, and Tom goes a-huntin’ (He’s not very good.). The film actually stops with about 15 minutes left for the “Werewolf Break,” giving you the chance to guess who the culprit is. 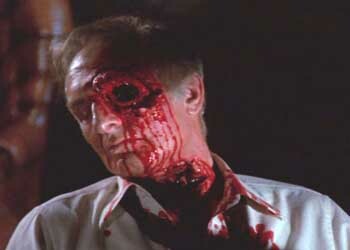 Is it werewolf expert Christopher Lundgren (horror legend Peter Cushing)? Or even Tom’s own wife, Caroline (Marlene Clark)? Or maybe one of the other upper-crust British-type guests (whose names don’t really matter)? While there’s no mention of race in the movie, it’s hard not to notice the fact that there’s a black man holding eight white people hostage — certainly indicative of the Blaxploitation times (although I wouldn’t consider this a Blaxploitation film). As a horror movie, The Beast Must Die is pretty tame and melodramatic, more in line with the early Hammer classics than with modern monster films or even Blaxploitation fare. 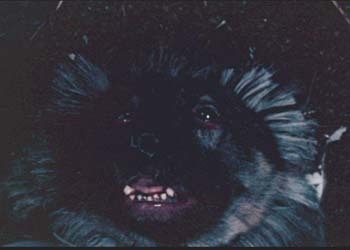 (It doesn’t help that the “werewolf” is played by a big fluffy dog.) Still, it’s a quick, enjoyable “page-turner” of a flick. Who hasn’t wanted to shoot Renny Harlin? 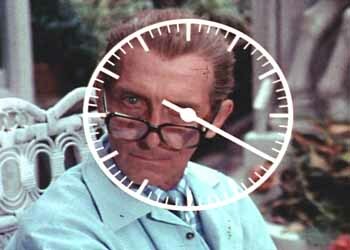 No one knew how he got the nickname Clockface McGee. The most cuddly werewolf ever. What happens to Lasik surgery around year 15.